We are delighted to wish everyone a Happy New Year! 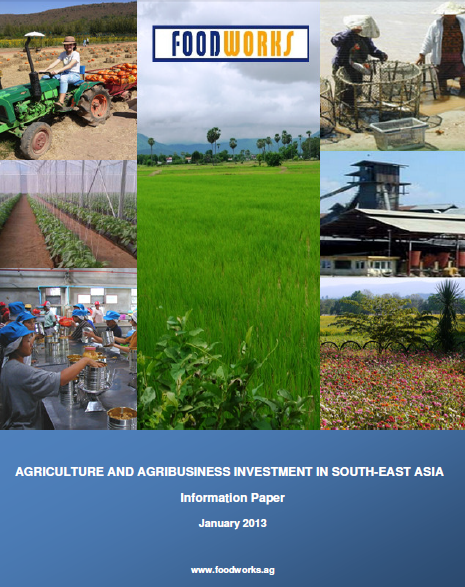 South-east Asia is one of the best investment opportunities in the world when it comes to agriculture and the food industry. The region is one of the most productive agricultural areas of the world, the main source of rice and high value tropical fruits and vegetables together with a growing source of feed materials, fish and meat. The purpose of this paper is to provide general information and context. FoodWorks Co. Ltd. is an innovative consulting group of specialists in agribusiness that will provide specific analytical and technical assistance with investment feasibility, planning and implementation for individual clients. We look at two main sub-regions, the Greater Mekong (Burma, Cambodia, Laos, Thailand and Vietnam) and the Brunei-Indonesia-Malaysia-Philippines Economic Growth Area (BIMP-EAGA). Singapore is the outstanding business and finance hub for the region as a whole. The most immediate investment possibilities lie in the southern-most areas, especially in Mindanao in the Philippines. More established countries like Malaysia offer smaller, but perhaps more solid niche opportunities. Burma is a longer and higher risk shot but certainly has the greatest growth prospects. Laos and Cambodia are worth a look. 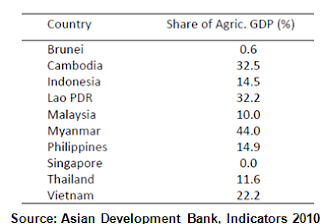 We are more nervous of Vietnam and Thailand partly because of governance concerns in the former and because the latter is already so mature in agribusiness. 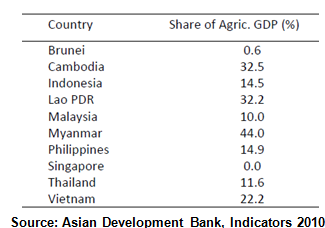 That said, none of the South-east Asian countries are near their agricultural/food production boundaries. Investors willing to bring new technology and combine it with advanced management and marketing systems in a global context will prosper by being based in the region.